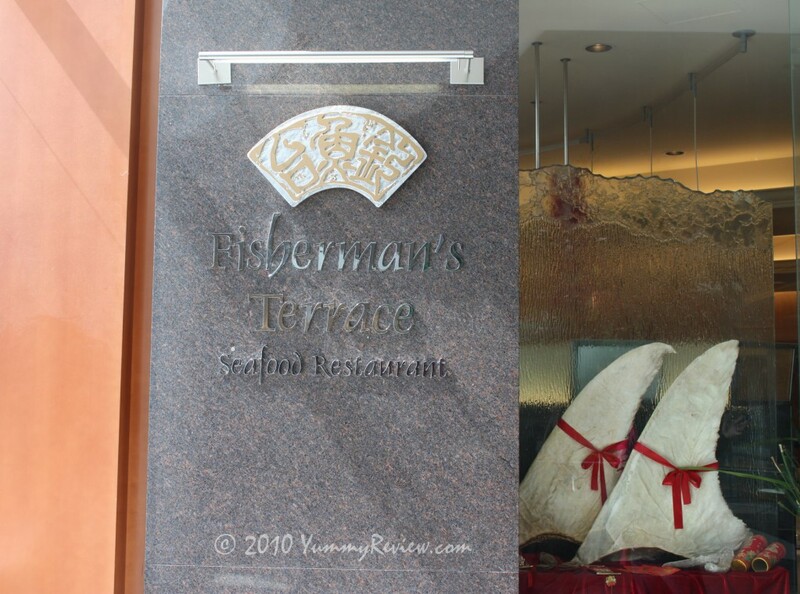 It was an early morning start (at least in my books) and on this beautiful Saturday morning, we decided to go for Dim Sum at Fisherman’s Terrace Seafood Restaurant located inside of Aberdeen Centre. It was early enough (9:30ish) that many of the stores in Aberdeen Centre did not open yet. So ample parking was available. If you’ve ever been to this mall, you would know what it’s like finding a parking space on a weekend is an absolutely pain. 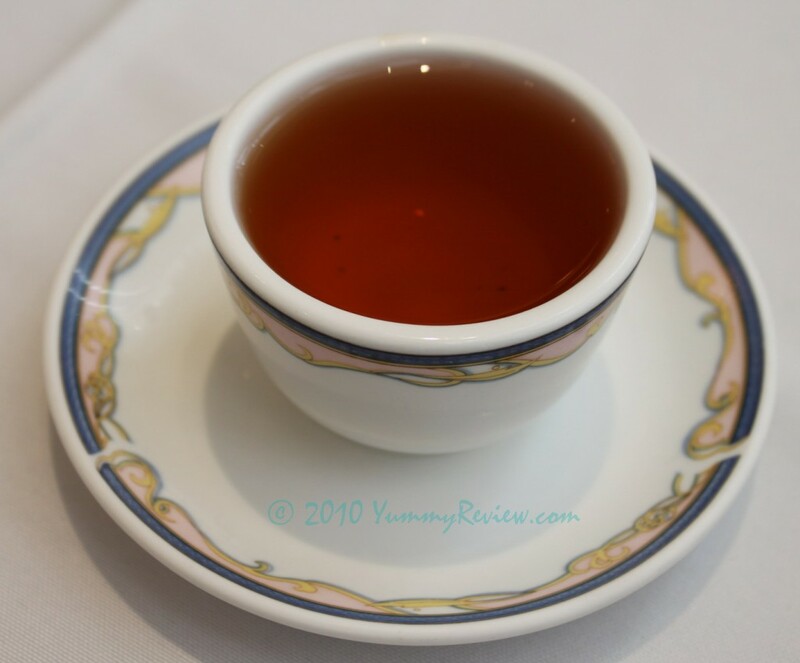 When you go for Dim Sum, that cup of tea is equally as important as the dishes. That first sip gets your stomach warmed up for the food to come. 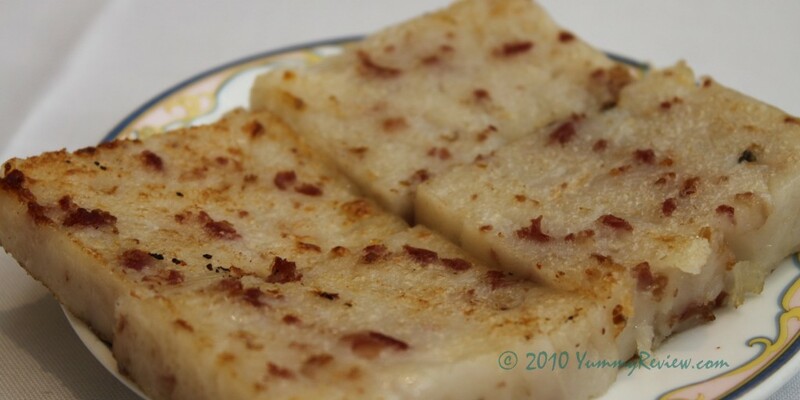 Unlike some of the traditional Chinese restaurants with the carts rolling around with the mile high tower of Dim Sum dishes, the selection at Fisherman’s Terrace is made by filling out an order form (much like all you can eat Japanese ) We started with the White Radish Cake. The portion was smaller than those that we are use to in other restaurants, but the flavor and texture was good. 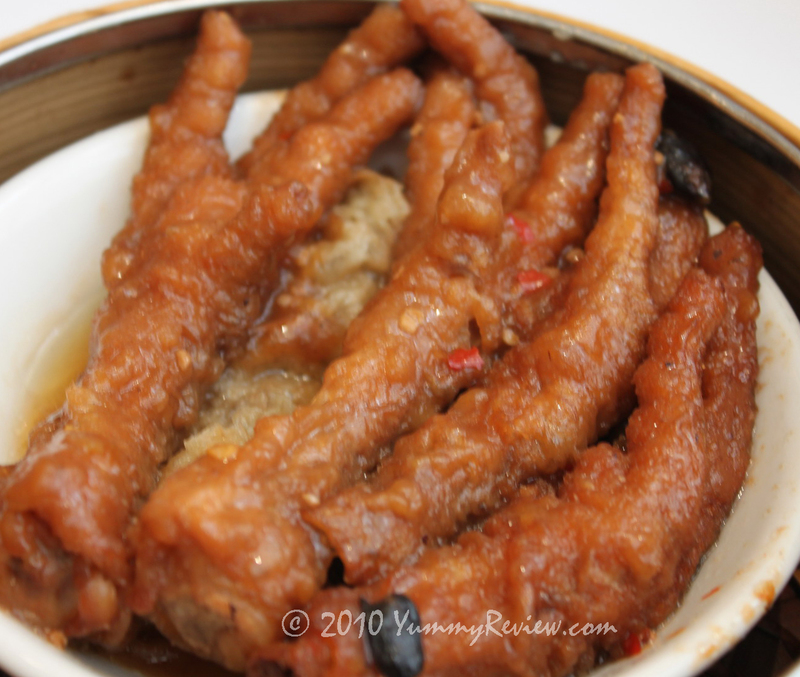 We then went with a classic dish…the Chicken claw. With just the right kick of spiciness and cooked perfectly. The skin came off easily and cleanly. 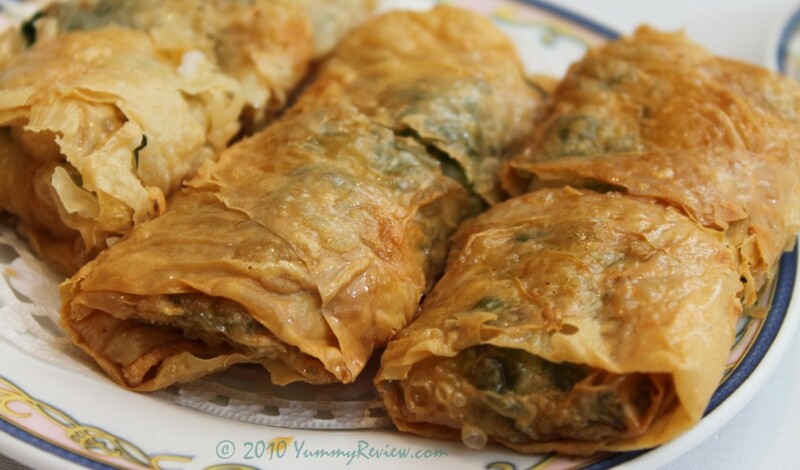 The Fried Bean curd wrap is one of my favorites. 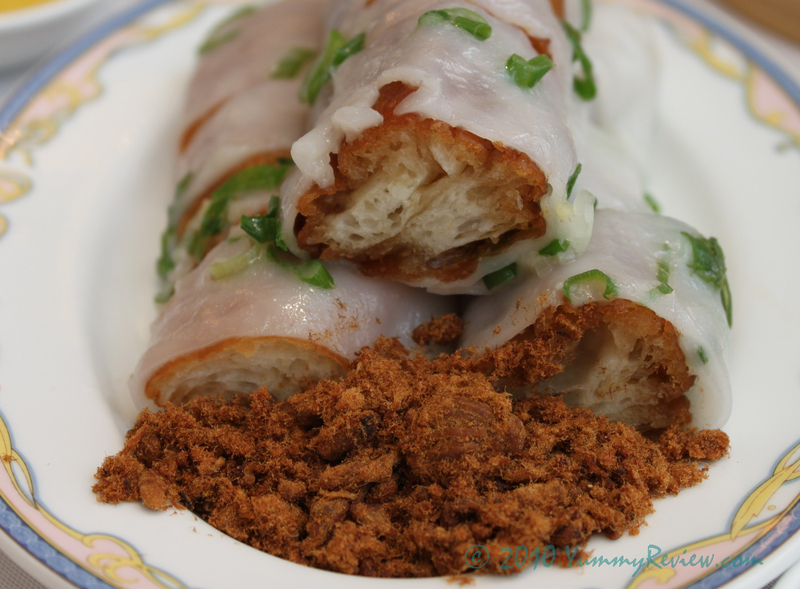 Crispy on the outside with fillings that include green onions, pork, and shrimp. The seasoning of the mixture inside was flavored nicely. 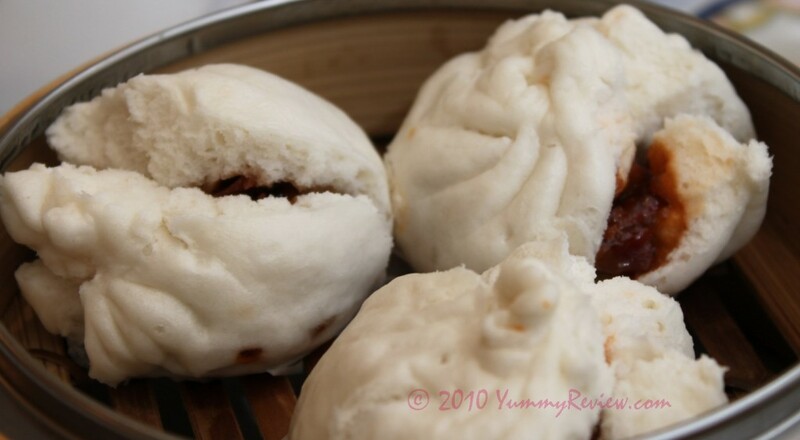 This is a must on my checklist if you’re trying the Dim Sum here. 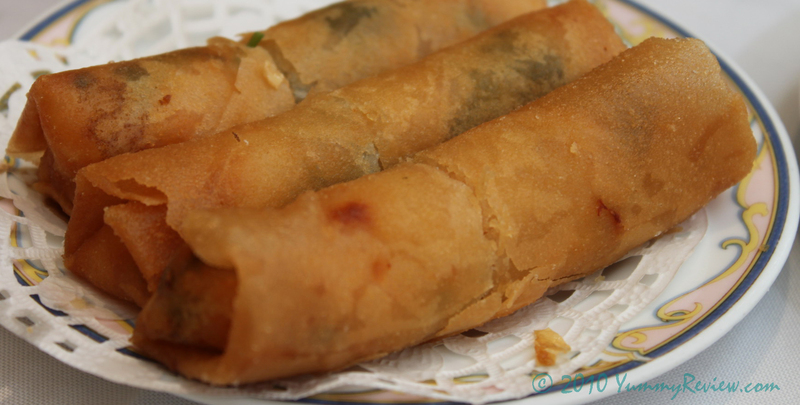 If you like fried foods, you can never go wrong on the spring rolls. Crispy evenly throughout. This was an OK selection. Chinese doughtnut wrapped in rice noodles with green onions with shredded pork. You are also provided with Hoisin sauce and Peanut sauce on the side for dipping. 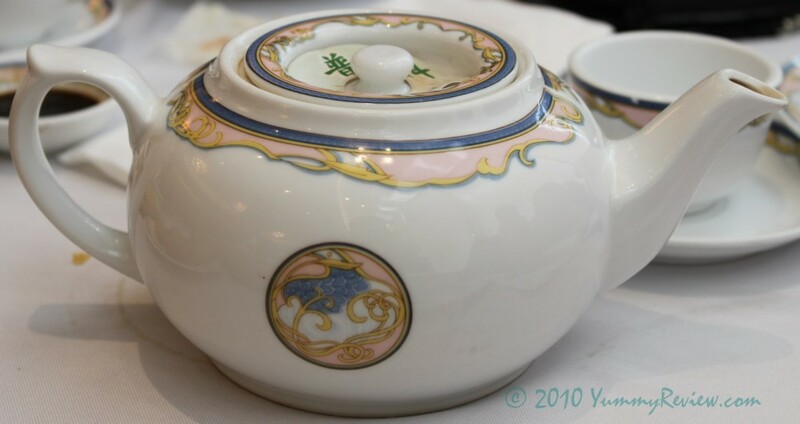 The soy sauce is normally poured over top of this for added saltiness. Love this dish. At this point, the kids stopped eating and it was down to my wife and I. We looked at each other as we rubbed our protruding bellies. So many more delicious dishes to try, we couldn’t stop here (as full as we were). We never seem to know when to stop. However, with the way we were enjoying all of the dishes so far, we decided to add a couple of more dishes. 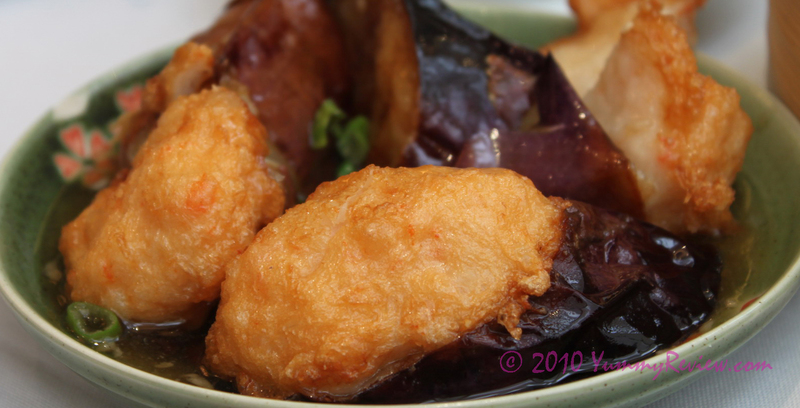 This is one of our favorites…the Fried Eggplant topped with shrimp paste. Yummmy…. (drooling at the time of writing). 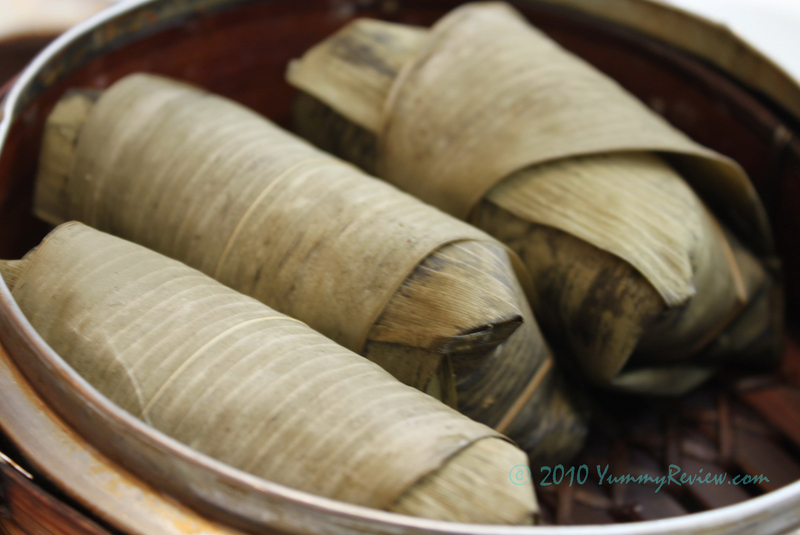 We also ordered the Sticky Rice Wrap. The wraps were pretty small for what we were use to. Also, if you’ve ever had this before, you would know it’s heavy on the stomach. We shared one wrap and brought the other two home. The taste was satisfactory at best. Probably wouldn’t order it the next time I go back. After the Sticky Rice Wrap, we decided to go with a meatier Dim Sum dish. 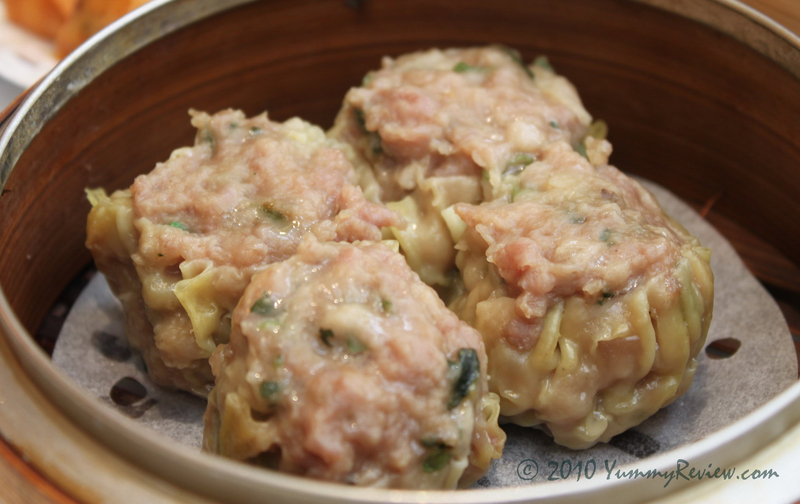 We ordered the siu mai which has a mixture of ground pork and Green Onions. We each had one piece and that’s all we could handle this time around. It was nothing spectacular, however, a tasty dish nonetheless. Overall, we were satisfied with most of the Dim Sum dishes that we had. It’s a little pricier ($4-$5/dish) than the competitive Chinese restaurants out there ($2.50-$3/dish), however, most of the dishes are a cut above the others as well. The food tasted fresh and very flavorful without over-seasoning. We will have to thank our friends for introducing this restaurant to us. We will certainly return again for another morning feast!